2015 has been another great year of top level entertainment. The Kaleidoscope Theater is closing out the season with one more laugh out loud comedy written by Steven Franco and directed by the team of Bunnie Hibbard and Harley Benner. 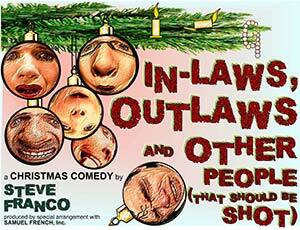 “In-Laws, Outlaws and Other People (that should be shot)” is a comedic play that will be featured exclusively at The Kaleidoscope Theater all through the month of December. As the Douglas family readies their home for an invasion of whacky in-laws and friends their festivities are interrupted by two bumbling robbers. 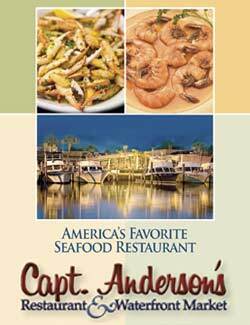 When Intense and paranoid Tony and his moronic goon, Vinny, stumble onto the Christmas Eve dinner while on the run from the ever nearing arm of the law they soon realize that robbing a liquor store was the easy part. What starts out as a simple plan to hide turns into a wild ride filled with characters that will not only remind you of your family dinners but why you might not mind if some of them got taken hostage! If you can’t catch an evening show, there will be Sunday matinees running on December 6, 13, and the 20th at 2:00 pm. Evening performances dates are December 4, 5, 11, 12, 18, 19 and all start at 7:30 p.m.